September 24, 2014 By Roy A Woodall, Jr. & filed under All Articles, Medical, Tactics/Training. While dressing for work one warm summer morning in 2000, I turned on my police radio. I had just put on my uniform shirt when I heard the unmistakable sound of a fellow officer calling to report that he was chasing someone. I could hear the stress in his voice as he gasped for breath to report his location. What I would find out in the next few minutes was that a traffic stop had turned into a car chase, then a car crash, and the male driver had a gun and was running away on foot. Putting on the rest of my uniform and driving as fast as I could to assist were a blur. 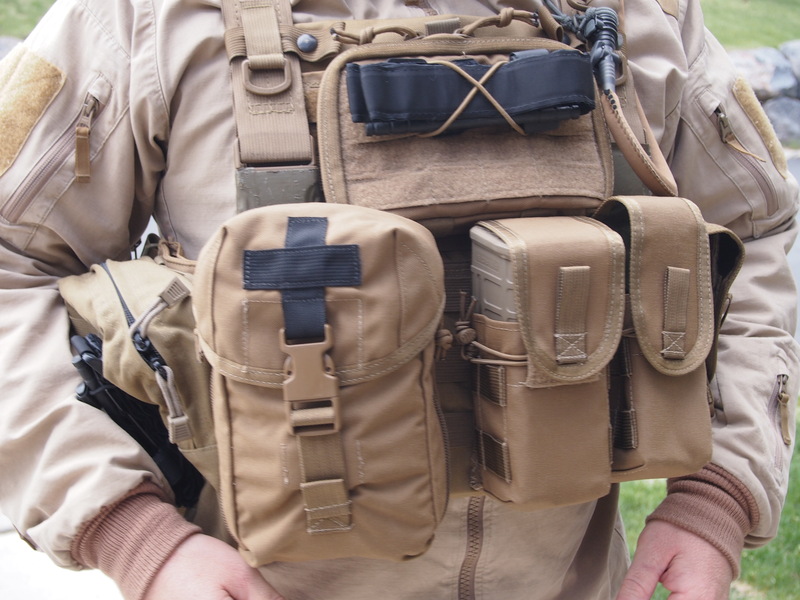 Medical kit clearly marked and tourniquet placed in center of load-bearing gear. When I arrived, the man was surrounded and within a few minutes he began shooting at police officers. Before the man was killed, he shot one of my fellow officers in the leg. I watched in horror as my friend and coworker fell to the ground right in front of me. As I ran to his aid, I was overcome with a feeling of inadequacy. My mind was blank as to what to do next. Fortunately the gunshot wound was not life-threatening. As I reflected on my state of mind at that moment, I realized I had not really trained or prepared myself for how to treat a fellow police officer in those critical minutes between getting hurt and the ambulance showing up. Extra small, small, medium, and large first-aid kits. When we talk about every man being responsible for medical care of themselves and their team members, we are talking about the care provided immediately after injury and prior to ambulance crews, paramedics, and hospital staff providing advanced lifesaving care. This type of medical care is referred to as “point of wounding care” and may last a few seconds or many hours, depending on the availability of advanced personnel and transportation. Today our obligation to the wounded far exceeds simply yelling “medic” and then waiting for someone else to tend to the injuries. While attending Infantry Basic Training at Fort Benning, Georgia in 1987, I was introduced to the combat dressing, a small plastic package containing cotton gauze attached to green fabric that could be tied around the wound. The combat dressing had its own small pouch, and each soldier was expected to wear it on his left shoulder. Any care beyond the field dressing, such as a tourniquet or field stretcher, had to be improvised from local materials or was the responsibility of the field medic. Army issue IFAK. It pulls out for easy access and better situational awareness. That simple pouch and single combat bandage evolved to become the Individual First Aid Kit (IFAK) that is issued to soldiers today. 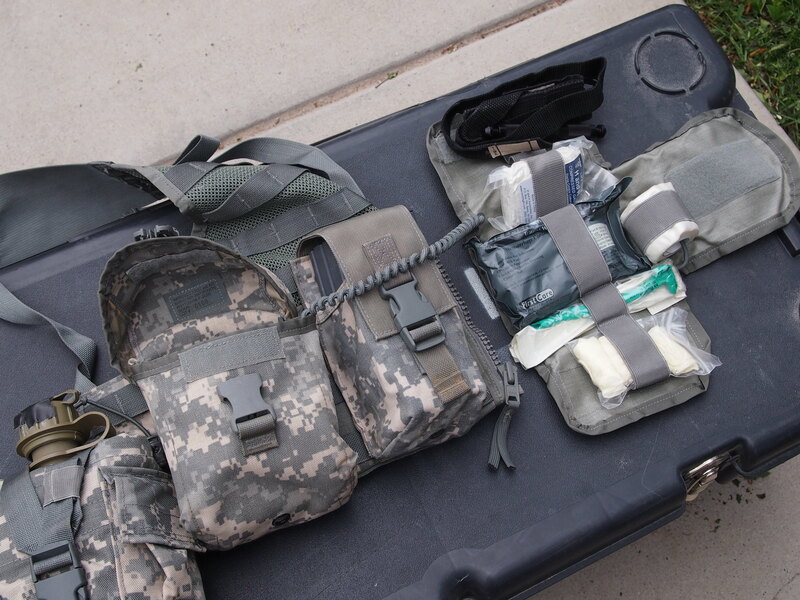 As currently issued, inside each basic IFAK is a Combat Application Tourniquet (CAT), nasopharyngeal airway, latex gloves, adhesive tape, and roll of gauze bandage. It is comforting to know that today’s warriors don’t have to stand around watching their friends die and later suffer guilt because they were powerless to assist. Because of the shooting and other critical incidents that occurred when I was a police officer, I made a point of carrying a small first-aid kit in the pocket of my uniform for the last half of my career. It started with some latex gloves and evolved to include a roll of gauze, over-the-counter medicine, Band-Aids, and medical tape. I kept my first-aid kit small by using a zip-lock bag with the air pushed out when I sealed it. This kit gave me the ability to treat from my pocket anything from a headache to a penetrating trauma. 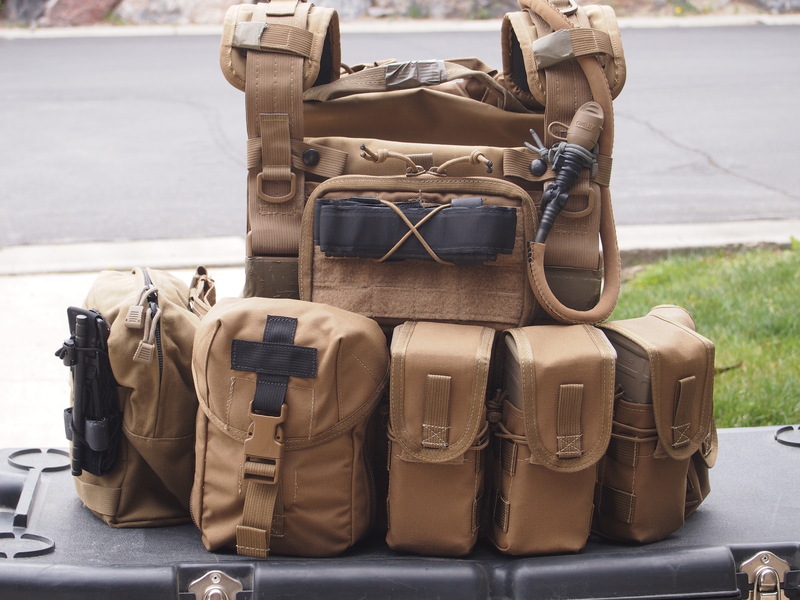 My medical supplies inspired some other officers to carry similar kits, but it never became standard operating procedure on patrol or even on the SWAT team. This is an area where the military is light years ahead of law enforcement. Not all tourniquets are the same. They require training. In July 2012, I was working in a remote part of Nepal training local police officers for United Nations Peacekeeping missions in Africa. 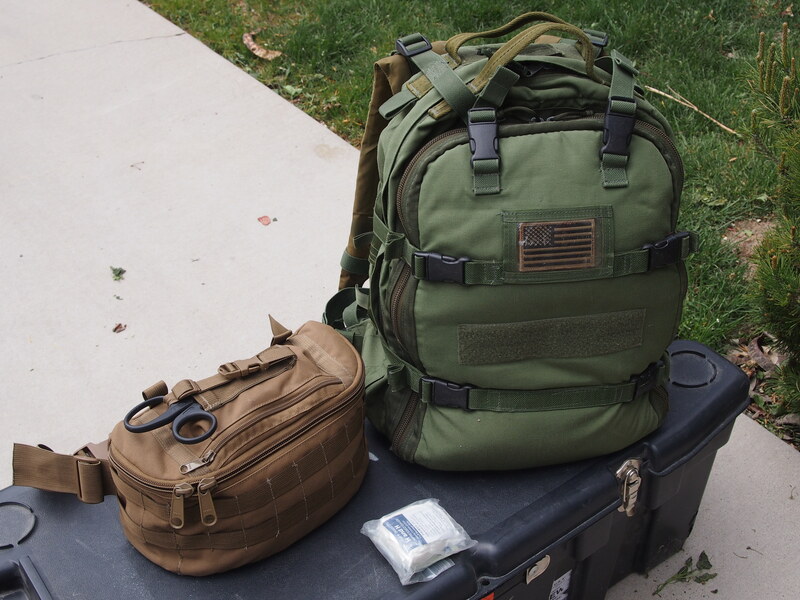 Our team’s medical support was limited to an Emergency Medical Technician equipped with a pretty basic medical bag. For any serious injuries, we had to drive down a steep mountain road for an hour to visit the traveler’s clinic in the city of Kathmandu. The clinic was open 24 hours for emergencies but could only provide limited care for medical and trauma patients. Everyone on the team understood the limitations of our medical care, so we were diligent to avoid dangerous and reckless activities. During one of the training cycles, I was invited to dine with my Nepalese instructors for lunch. It was an honor that I could not say no to without offense being taken. I had eaten local food a few times with mixed results, but had yet to become gravely ill, so I wasn’t too worried about accepting their invitation. I had a great meal with my Nepalese friends dining on Dal Bhat Tarkari, goat, fried fish, and raw vegetables. We returned to the classroom and I spent the rest of the day with a noticeable pain in my stomach. I did not feel well but thought I could sleep off the bad food. I awakened at around 0200 violently ill. I spent the next hours with extreme dysentery, vomiting and a high fever. I knew I was in trouble at around 0400 when I could not stand up, and I was overcome with a feeling of doom. Keep everything simple and close. If I had been at home in the United States and a family member or I had had similar symptoms, I would have rushed them to the emergency room or called 911 for an ambulance. But here, I knew I was on my own. To make matters worse, the hotel had no electricity at night, so I was left fumbling around on my knees in the dark. When I located my personal medical kit, I took a dose of antibiotics (Ciprofloxacin) to stop the bacteria. I mixed filtered water and a packet of oral rehydration salts inside a Nalgene bottle, slowly drinking small amounts to keep from vomiting. Over the next few hours, I rehydrated myself sip by sip, and my severe symptoms subsided. Though I was still weak and sleep deprived, my fever and symptoms were mostly gone by morning, so I was able to teach. When I arrived in the classroom, I smiled at my Nepalese students, who had no idea I had spent the night trying not to die. Because of my interest in combat medicine, I became certified as an Emergency Medical Technician (EMT). EMT classes teach the basic concept of patient assessment, where you start by assessing the patient for Airway, Breathing, and Circulation (ABC). This works well in a hospital or ambulance environment when you are trying to determine what is wrong with a patient who has an unknown problem. When someone suffers a penetrating trauma like a gunshot wound right in front of you, valuable seconds can be saved by going straight to the injury to minimize bleeding. Someone can bleed to death in the time it takes to open an airway and listen for breath sounds. 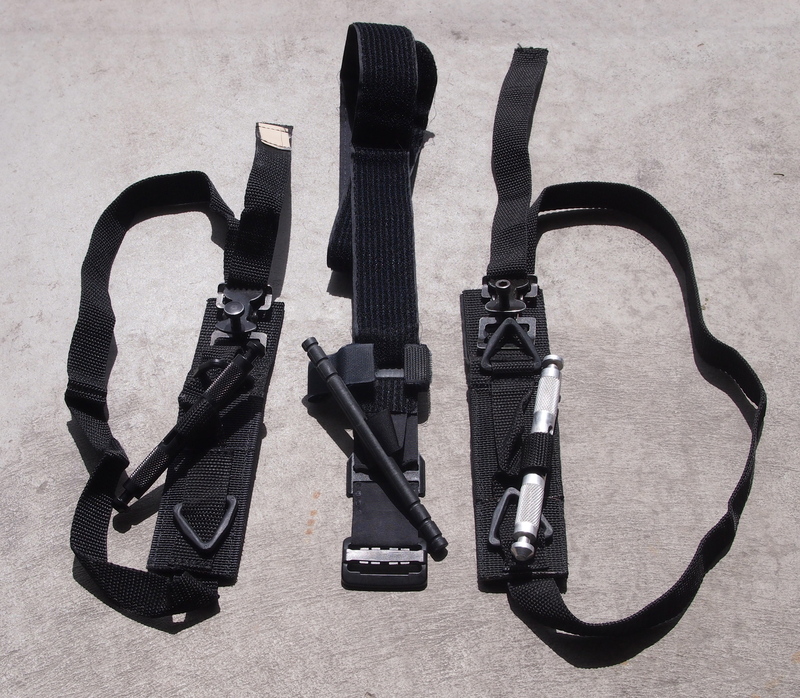 For tactical medicine, there is a better acronym for assessment—Bleeding, Airway, Tension pneumothorax, and shock (BATS). 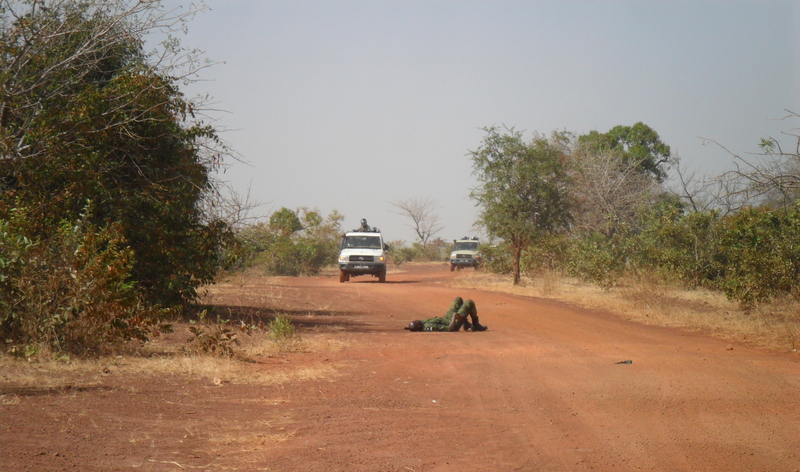 Even while the threats are being eliminated, a wounded team member can begin treating himself (self-aid) by applying a tourniquet and getting behind cover. Once it is safe, another team member can continue their care (buddy-aid). Since the team has the same training, everyone knows what care is being provided, which reduces the anxiety of the patient and the team. When we talk about self-aid and buddy-aid, it’s also important to talk about responsibility versus liability. In the United States, we are required to obey the law in respect to prescription medications, so we cannot carry around drugs to hand out. But when traveling overseas, we have the opportunity to buy medications, and it’s tempting to stock up on painkillers and antibiotics. No one reading this should ever purchase drugs overseas and bring them home unless you know the laws, otherwise you’re likely to be arrested in Customs. I feel comfortable purchasing some antibiotics overseas without a prescription and administering them to myself overseas on an as-needed basis, but I would not consider giving them to someone else. Though we have a responsibility to help our team members, it is irresponsible and criminal to try to play doctor. Know your limitations and stay within them. Focus training and care on the basics. If you want to be a doctor, go to medical school. There is no substitute for professional training. Self-aid starts first. Buddy-aid only after the hazards are eliminated. Customize your first-aid kit to include personal medications and supplies that support your mission. If you carry personal medicine, know the dosage and interactions with other drugs. Know the contents of your first-aid kit and replace supplies as they are used. Train with tourniquets, airways, and pressure points. Have a workable tactical medical plan that you practice often. Fix yourself and get back in the fight. If you are working with a team, establish a medical standard operating procedure (SOP). All team members should have their medical kits clearly marked and in a uniform position. Also know your buddy’s medical condition, e.g., is he allergic to nuts or bees? Keep an eye on each other. Altered mental status due to dehydration or low blood sugar is sometimes easier to see in others than ourselves. Medical protocols should be established from minor to major injuries, with next of kin and emergency contacts documented and well understood. If we trust one another with our lives, we can certainly trust one another with our basic medical history and whom we want contacted in an emergency. It is the responsibility of everyone working on a tactical team to be “value added.” When someone is hurt, keep your head and do what you are trained to do. Do your best and keep calm doing it, and you will have the respect of your peers and spend the rest of your life being proud of your work. 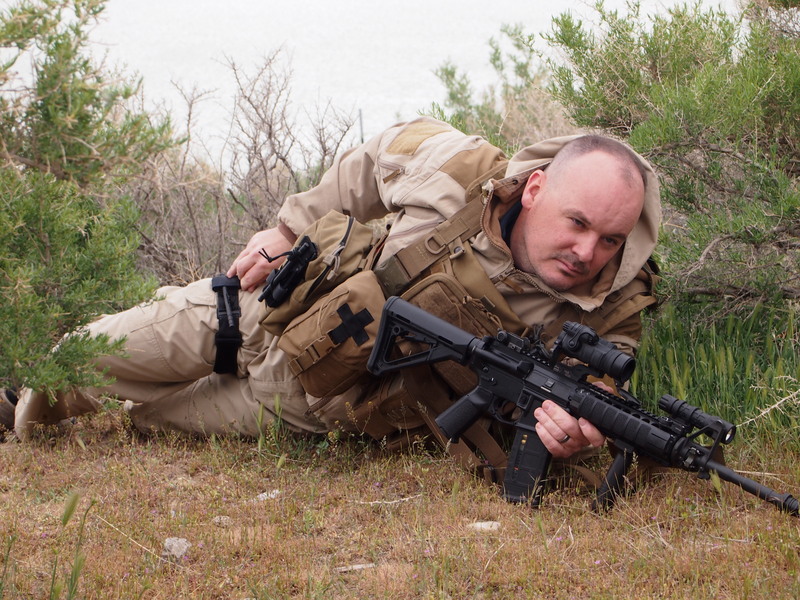 Roy Woodall is a retired career police officer and veteran of the U.S. Army Infantry. 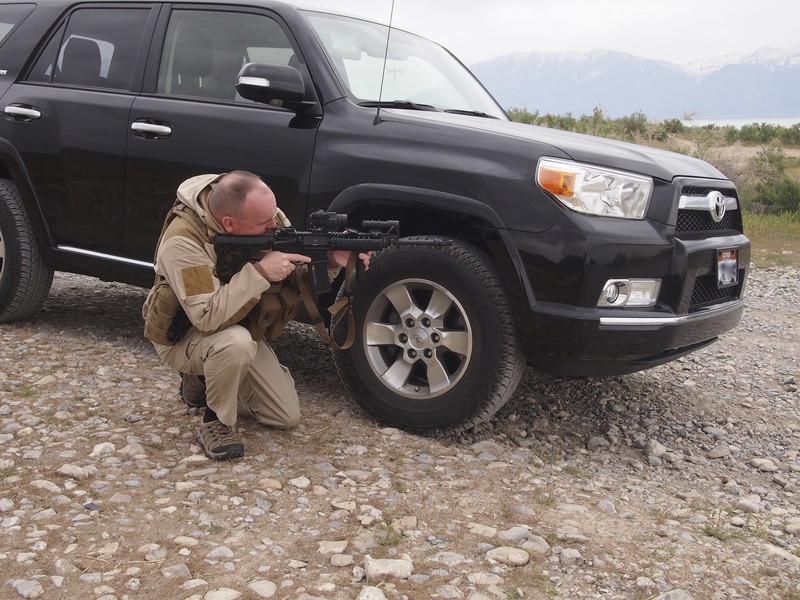 He has spent the last three years working overseas as a private military contractor.